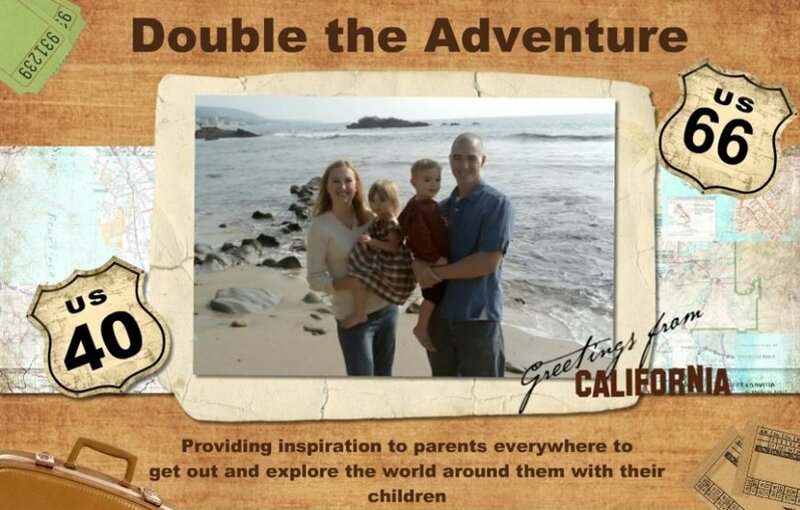 DOUBLE THE ADVENTURE: Yosemite here we come! The challenge was presented. Find a great place to take Paul for Father's Day. Someplace that would top the wonderful time we had at Marin Headlands and SF for Mothers Day. It seemed to be the impossible feat given the fact that we didn't have the cash to fly to Hawaii. Then it hit me. While we were in Texas I nearly had a heart attack when I found out both Paul and his big sis had never been to Yosemite. How on earth was this possible? They have both spent a good portion of their lives in Northern California. Something had to be done. I went out on a limb and checked to see if there would be anything available for an overnight stay. Eureka! A cabin in Currey Village that just happened to be available only one day this month, Father's Day! So I booked the cabin as fast as my ET-esque fingers could punch those keys and set out on my many hours of research to gather as much Yosemite info as I could. I like to know as much as I can before I go so I can be an informative guide for my loving husband who puts up with my continuous spewing of random knowledge. I looked for the trails that would best suit a family with 21 month old twins. Half Dome was out. The 4 Mile Trail that climbed down the side of a cliff into Yosemite Valley would have to wait. I would rather not have Mari airlifted off the mountain because she inherited her mother's clutziness. We would probably also pass on rafting the Merced River because needless to say, the kids can't swim. But there was so much left to do that I am confident we will have a fabulous time. Tongiht I pack our bags and gather our supplies for the weekend. We will be running to the car wash to get the sorry excuse for a back seat cleaned so the bears don't break in and have a 9 course meal from all the crumbs back there. In true Rose Earnshaw (my dear MIL who I will never come close to in the art of all things domestic) style I will even pack a cooler for our breakfast and lunch supplies instead of my usual winging it style. I can't wait to get back and share the stories and pictures that are sure to come from this adventure.Wish us luck! Woohoo! Glad to see you updating!!! YIPPEE! That trip sounds jus FABULOS!!! I am glad to see you have caved, I know it was hard for you! I love it so far and look forward to more updates!! The trip sounds so good, have a great time!!!! great beginning, can't wait to read the ending!!! Read "One Best Hike: Yosemite's Half Dome"
Great start to the new blog. It will be fabulous. Welcome back to bloggy world!! The trip sounds AMAZING!! Have a great time. I can't wait to see all the pictures!! 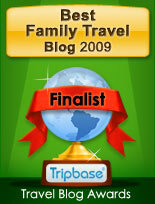 What a great idea to blog about traveling with u'r little monkeys!! I can't wait for the nexy post!!! YEAH!!!! So happy to read what you guys have been up to! You and your family are lil' explorers...love it. Beautiful pictures!! Ben & Mari are getting so big! !